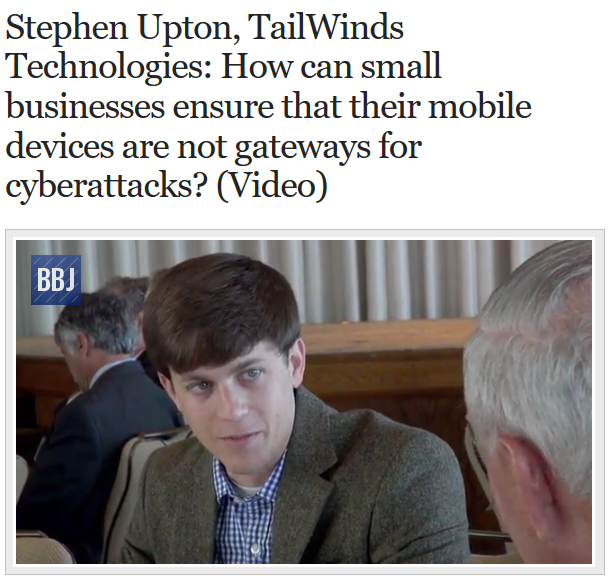 TailWinds Technologies | October is NCSAM! 06 Oct October is NCSAM! October has been recognized as National Cyber Security Awareness Month (NCSAM) since 2003 when the U.S. Department of Homeland Security and the National Cyber Security Alliance joined forces in an effort to improve safety and security on the Internet. It’s now a joint effort between private industry and public agencies to help companies and individuals make better cybersecurity choices. Keep a clean machine: Your company should have clear rules for what employees can install and keep on their work computers. Make sure they understand and abide by these rules. Unknown outside programs can open security vulnerabilities in your network. If they have responsibility for updating their software, train them to implement those updates as quickly as possible. Follow good password practices: A strong password is a sentence that is at least 12 characters long. Focus on positive sentences or phrases that you like to think about and are easy to remember (for example, “I love country music.”). Lock Down Logins: Whenever possible, implement stronger authentication. Sometimes this is referred to as multi-factor authentication or two-step verification. When in doubt, throw it out: Employees should know not to open suspicious links in email, tweets, posts, online ads, messages or attachments – even if they know the source. Employees should also be instructed about your company’s spam filters and how to use them to prevent unwanted, harmful email. All data must be backed up: A comprehensive backup plan is so basic. It protects you from much more than cybercrime, and ensures your business can continue, no matter what happens. If employees play a role, be sure they are well trained. Staying watchful and speak up: Your employees should be encouraged to pay attention to incoming (emails and other communications), and to where they go online, and to report anything that could be perceived as unusual. Plug & scan: USBs and other external devices can be infected by viruses and malware. Use your security software to scan them first. Honestly, these measures should be so well in place that you hardly give them a thought. We’d like to make that the norm for your business. Please get in touch today: (205) 332-1600 or info@twtech.com.